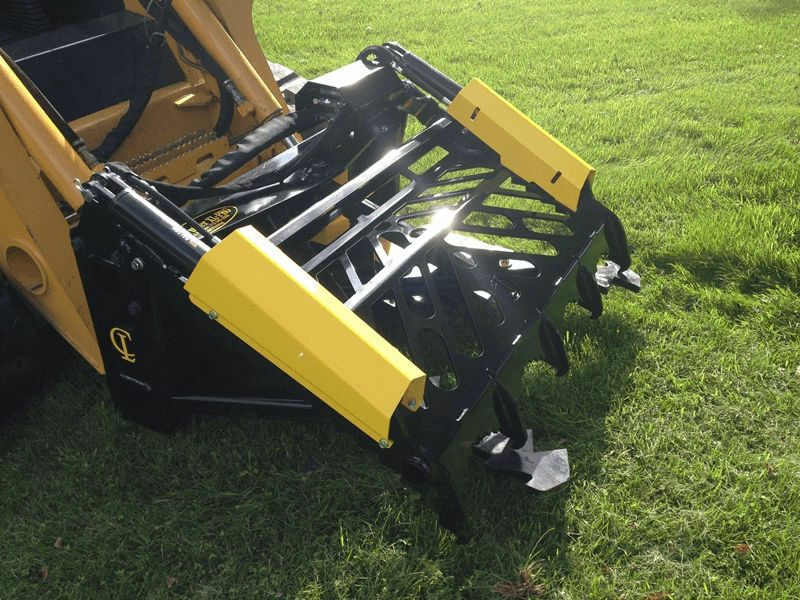 This new tool will save you time and money. 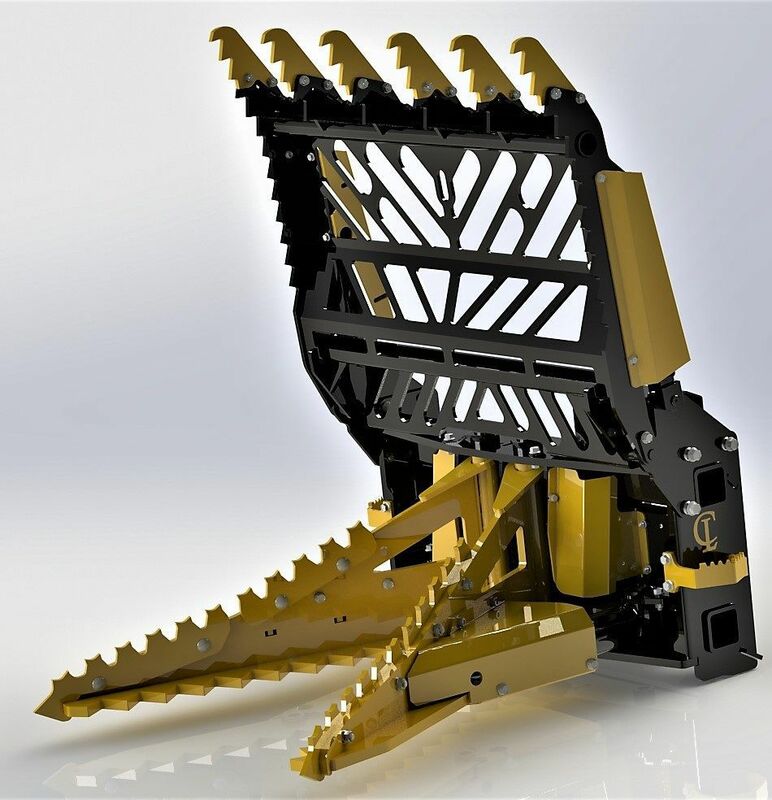 The new Tree Puller Grapple Guard is a powerful hydraulic grapple that mounts on any CL FAB EZ-Puller tree puller. The Grapple/Guard acts as a cab protector when in the upright position and then by flipping a switch the operator can change to the grapple function. 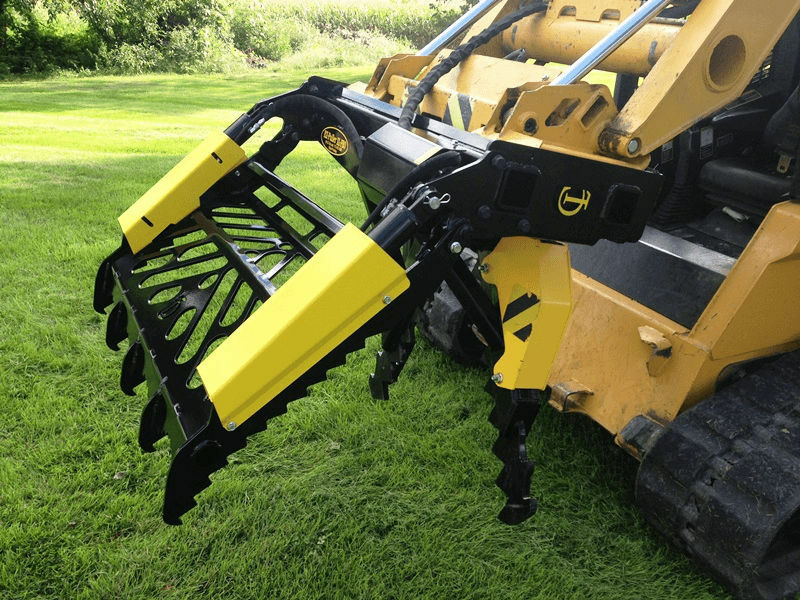 One attachment is all you need to remove and handle trees and brush. 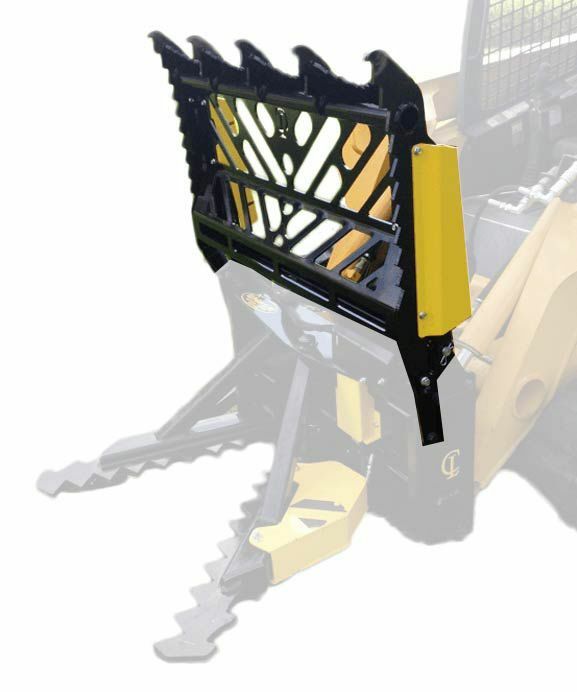 When the grapple is open it’s a very strong cab guard that helps protect the operator and keeps the trees away from your expensive cab door. 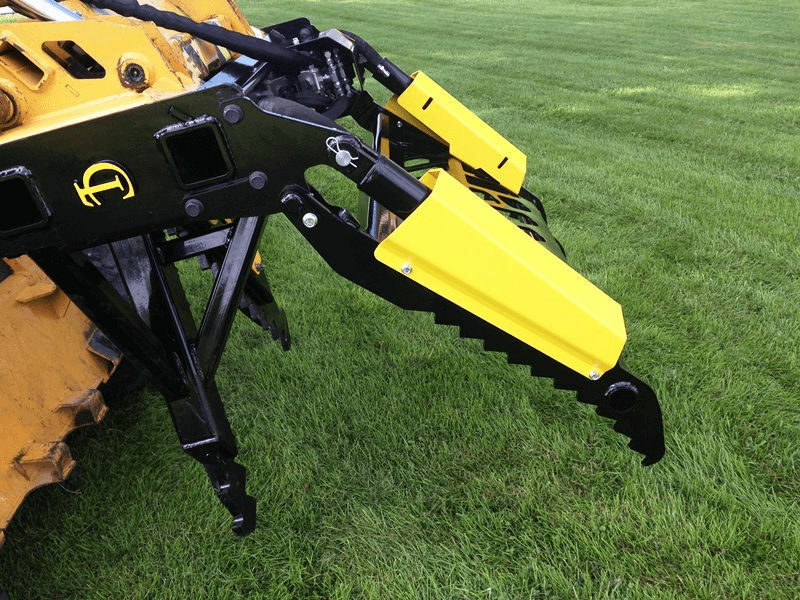 Two, 2.5″ bore hydraulic cylinders have more than enough power to clamp and hold large piles of brush and big limbs.